Fall is already here, so it’s time to explore some of the awesome foods to eat this season! I love fall, because of all of the tasty fall foods, nice weather and just how fascinating it really is! Here are my favorite and most awesome foods you should definitely eat this fall. What fall would be complete without beautiful orange pumpkins? I’m always so excited when fall rolls around at Starbucks because that means that their pumpkin muffins and bread are back. I also like pumpkin pies and any drink that has pumpkin in it. Plus, I like to prepare pumpkin puree at home. I love carrots, especially in the fall. They’re so tasty! Now, I’m a big raw carrot person, because I don’t like the taste of cooked carrots. Carrots are wonderful regardless of how you slice it! I also love carrot juice, it’s so delicious! 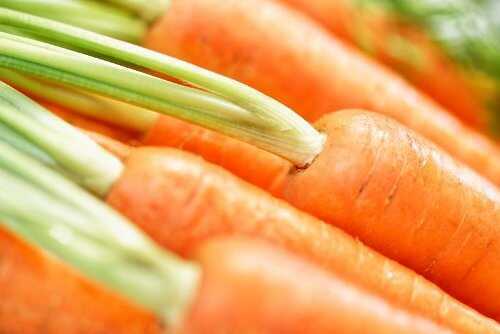 What are your favorite ways to cook carrots? Sure, one of the best fall foods is potatoes! Whether you have a side dish of potatoes or you have potatoes as the main centerpiece of your meal, potatoes are certainly some of the most addicting foods for the fall! Potatoes can fill you up completely and they are absolutely delicious and a real comfort food! I believe that everyone loves apples and the fall is a season for those delicious apples! Picking apples is one of my favorite fall activities since childhood, and my family also loves that. Perhaps, most of all I like apple pie; I make it almost every day in the fall season. My grandma and I used to eat pomegranates and get them for one another every fall. Now that my grandma is gone, I’m trying to keep up the tradition and eat pomegranates every fall season! The only thing I don’t like about them is that they are hard to eat. Although many people don’t like beets, I decided to add them to my list of the awesome foods you should definitely eat this fall. One of my favorite things about beets is that I can use them in many different ways! I like a crisp beet salad and a hot beet soup. And do you like beets? Another awesome fall food that is very addicting is the root veggies. Okay, I know I mentioned some of the root veggies that are my favorites, but I also want to mention turnips, sweet potatoes, and celery root. They all look simple, yet oh-so-delicious that it’s difficult for me to choose one favorite! Well, ladies, there you have it! Some of the most awesome foods that I think everybody should eat this fall. What are your favorite fall foods? Please comment below!